Artists should know about two Julia Camerons. There is the Julia Cameron we talk about in the History of Graphic Design. 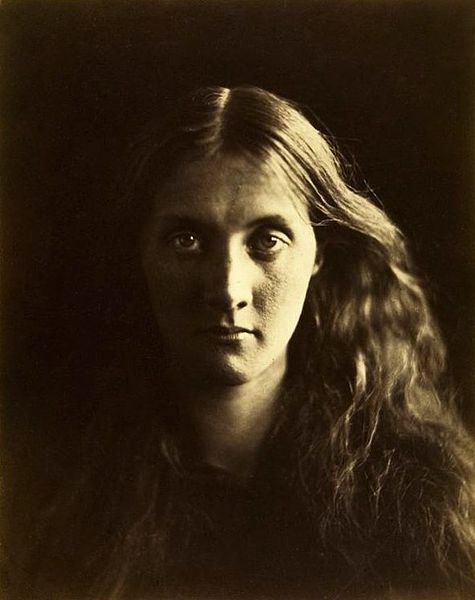 A pioneering portrait photographer, Julia M. Cameron grew up in Ceylon, modern-day Sri Lanka. She moved to the Isle of Wright off the coast of England and was a neighbor to many British VIP’s including the poet Tennyson. She was nearly 50 years old when she got her first camera as a gift from her children and began her career as a photographer. Julia Cameron was there at the beginning of the art form. She took a famous portrait of her neighbor, the scientist Sir John Hershel, who it is said invented the words “photography”, as well “positive” and “negative”as terms related to the photographic process. Her work was unlike anything else done at the time. Her portraits have been described as sensitive, evocative, and soul-searching. The other Julia Cameron is a writer we talk about in Visual Thinking class. She’s been a journalist for Rolling Stone, a novelist, playwright, and screenwriter. She also does motivational coaching for creative types. Her bestselling book on the topic is called The Artist’s Way. She promises one can end writer’s block, or artist’s block, by following a few simple techniques. One is called “morning pages,” sort of automatic writing at dawn. As I recall, Ms. Cameron claims it takes about 7 persistent weeks to get a creative breakthrough this way. Her other technique is the artist date. This concept works for me. According to her website, www.theartistsway.com, the “Artist Date is a once-weekly, festive, solo expedition to explore something that interests you. 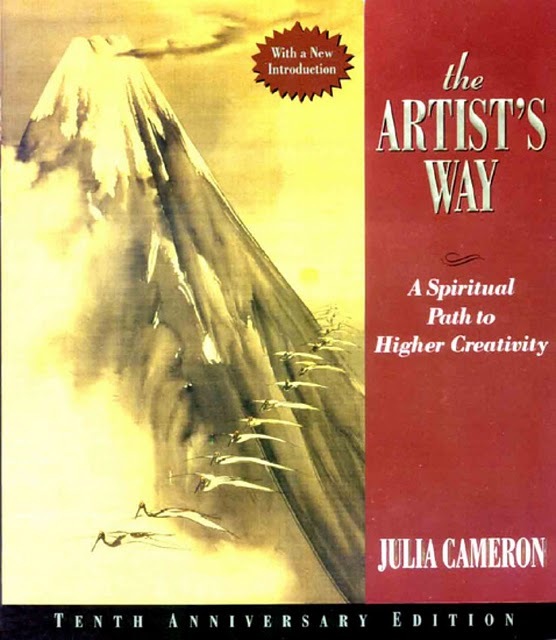 The Artist Date need not be overtly “artistic”– think mischief more than mastery.” Julia Cameron generously shares more details in a 16-page downloadable chapter in pdf form that can be found on the bottom of her basic tools web page. The first part of the chapter deals with the pages, the second with the artist dates. I became a fan of the solo artist date idea after I stood in the Met in a room full of French impressionist paintings with an old friend who had no interest in art. He said to me, “So, you are an artist, are these any good?” I was dumbstruck. I realized for the sake of my creative soul I would need to return to the museum alone. Never go to a museum with someone who doesn’t want to be there. A Personal Note: My most recent Artist’s Date…. I always prefer a cheap date and when I was in St. Louis at Evil Prints, I got lucky. 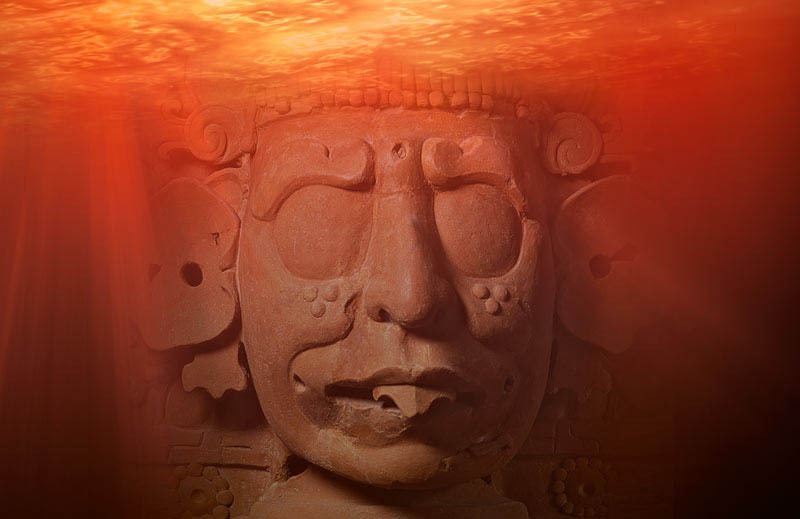 My brother Brian emailed me a review by his Facebook friend Josh Berman recommending the Maya art Exhibition, The Fiery Pool, at the St. Louis Art Museum. I got up early on Friday morning and took the light rail out to Forrest Park. The St. Louis Art Museum, SLAM for short, is impressively situated on a hill overlooking a great lawn. Oddly enough, it has griffins on its rooftop, just like the Philadelphia Museum of Art.. The front door is guarded by an enormous statue of Saint Louis on horseback. I was so excited about my date that I arrived before the museum opened, so I sketched the equestrian monument waiting for the doors to open. When the doors opened I found the museum is free on Friday, not only that, even the special exhibitions, including the Fiery Pool was free. Thank you, St. Louis Museum of Art! The show was astounding. 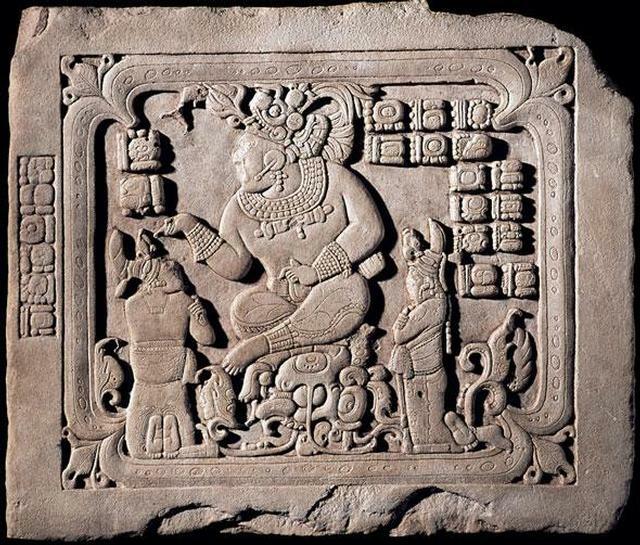 I had read that the Maya so respected their artists that artworks, like relief sculptures, were often signed. Reading is one thing, but actually seeing a Pre-Columbian artist’s signature on a portrait of a king changed my way of thinking about the Maya. The exhibition included many marvels including a metal shield retrieved from the sacred pool at Chichen Itza with a rare illustration of a Maya naval battle. Beyond the warring boatsmen a horizontal line was inscribed, suggesting the point where sea meets sky. According to the gallery notes this horizon line is the only known use of perspective in Pre-Columbian art. I still need to think about that. There are over 90 priceless Maya artworks in this exhibition which originated at the Peabody Essex Museum in Salem, Mass. SLAM is the last stop on its U.S. tour, funded, in part, by the NEH. The Fiery Pool is on view until May 8, 2011. If you are in the area, it makes for a nifty artist’s date.